Hi there. I’m Robin and I’m working at National Trust Dyrham Park as the PTYF Collections management placement. 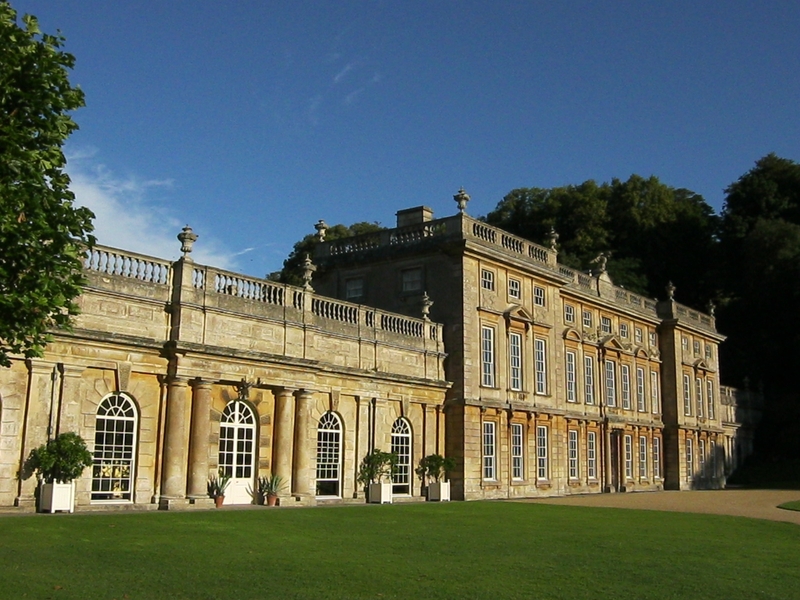 Dyrham is set in a spectacular natural valley at the edge of the South Cotswolds roughly betweenBathandBristol. The main house was built between 1692 and 1705 and has a distinct Baroque feel, and is surrounded with over 250 acres of Deer park. In my previous incarnation I was a print machine operator and last year I needed a career change. I found out about the Passport to your Future training course and was delighted to discover the first years training was in collections management. My first days were quite the learning curve and it turns out you can actually teach an old dog new tricks! My first few days were a good indication of what was to come. After being shown around the house I was introduced to the basic concepts of conservation. The main principle of which, are the ‘agents of deterioration’. Light damage, dust, incorrect temperature, and humidity to name just a few. Soon after which I had a crash course in conservation cleaning and was put to work under the watchful eye of my mentor for the year Katy. As this was during the open season I was ‘thrown in at the deep end’ when we were short on room guides and I was asked to shadow them to get an understanding of the house from their perspective. This was something I had never done before but thoroughly enjoyed it and felt quite happy talking to guides and visitors. It was a great experience, although a little nerve wracking! It seemed the more I thought I had met everyone there was to meet, the more people I would be introduced to, from admin staff I got a real sense of how big the level of staff can be at Dyrham due to different working rotas of volunteers as well as staff. It would be easy to feel lost in amongst them but was instantly made to feel part of one big happy family. During my induction time I had the opportunity of meeting all the other trainees on my first training course at NT HQ. I think we were just as nervous as each other but did not take long to get along. The main focus of the training was to instruct us in the use of the ‘Collections Management System’. The software created to document all of the National Trust Collections with an inventory of details and photo’s. This is also one of the focal points of my placement, so I was keen to find out all about it. Initially it did make my head spin but this has slowly subsided over time thanks to the training. Like any system it can only be as good as the data that’s fed into it so you do have to be careful what you edit! We have a fair amount of work to do at Dyrham which ranges from updates and corrections, to movements, so that what CMS tells us is in a particular room is actually there! It’s also a fantastic research tool when we have questions about items in our collection. An interesting exercise in logistics came when one of our paintings had a request to be loaned out to a gallery in Antwerp so it had to be taken down from a stairway wall, cleaned and checked, packed up and shipped. This was a great opportunity to see it up close, and it was quite a revelation to study in a different light and to help out with the conservator’s work with the canvas cleaning and frame restoration. As the shipping crate had to be a stable micro-climate for the painting I’m pretty sure that it was strong enough to be almost bomb proof too! 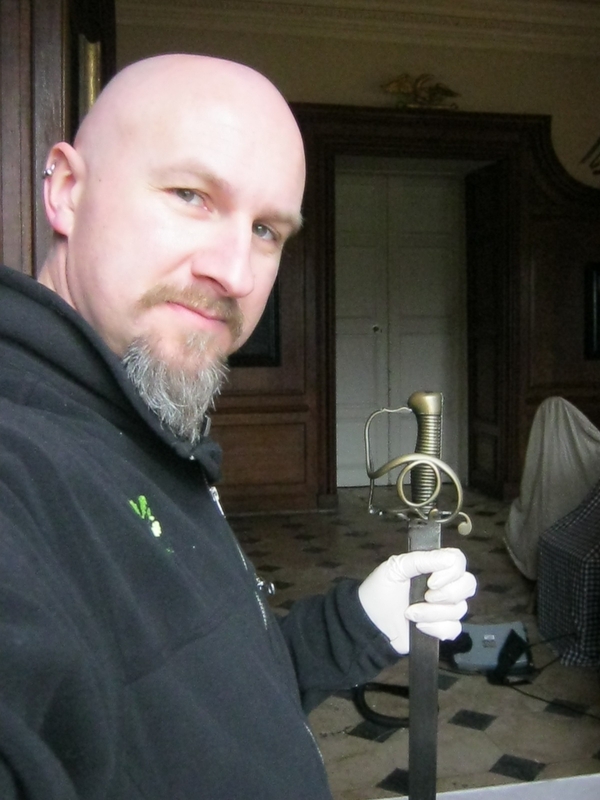 I had the good fortune to gain more experience in conservation cleaning when I had the chance to take part in a seasonal clean at nearby Westwood Manor. This is a very different type of property and has residents as well as volunteers. It was a good chance to put my new skills into practice cleaning a completely different collection. Looking back at the last 7 months it has been a truly amazing, unique and fantastic experience working at Dyrham, if at times a little hectic! First time in many years, I look forward to going to work! If you want to know more about what Robin gets up to day-to-day at Dyrham Park, check out his online blog at http://robsblogdyrhamnationaltrust.wordpress.com.